(l-r) Felix Avitia, Cameron Boyce, Sophie Reynolds and Murray Wyatt Rundus star in Disney XD’s GAMER’S GUIDE TO PRETTY MUCH EVERYTHING. ©Dinsey Enterprises. CR: Ron Tom. (l-r) Cameron Boyce, Felix Avitia, Sophie Reynolds and Murray Wyatt Rundus star in GAMER’S GUIDE TO PRETTY MUCH EVERYTHING. ©Disney Enterprises. CR: Ron Tom. 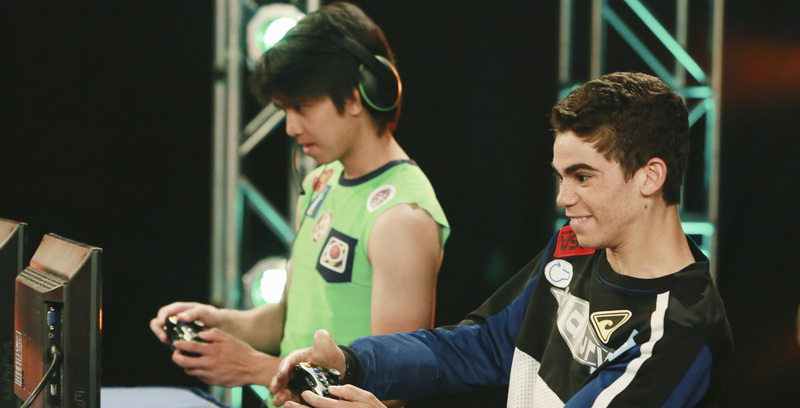 Cameron Boyce (right) stars in GAMER’S GUIDE TO PRETTY MUCH EVERYTHING. ©Disney Enterprises. CR: Ron Tom.